At the time of writing, independent outage monitor Down Detector has registered almost 5,000 reports from users insisting WhatsApp is experiencing an outage. All the sites displayed a "can't be reached" message. 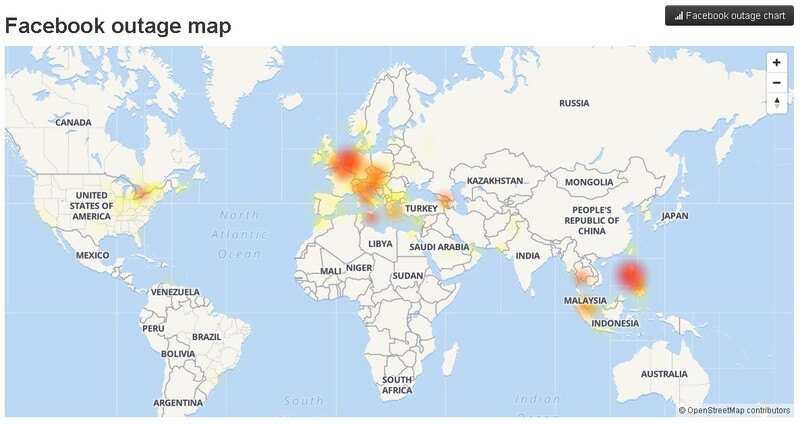 The outage appeared to be affecting both websites and apps. While other countries are reporting an outage on Facebook, we are still able to refresh our feed and post a new status update just fine. One Twitter user joked that it was time to relax now that the social media sites are down: "Seems like all socials owned by Zuckie are down". Facebook had to turn to Twitter to inform users of the downtime.